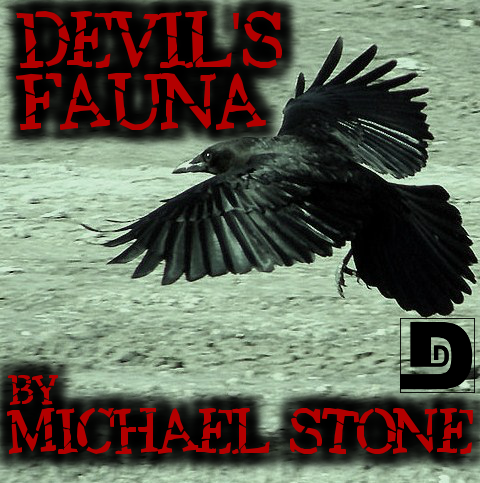 This entry was posted on October 26, 2010 at 12:08 pm and is filed under Horror, Michael Stone, Short Story. You can follow any responses to this entry through the RSS 2.0 feed. You can skip to the end and leave a response. Pinging is currently not allowed. The movie you were thinking of is “Awakenings,” based on the book of the same name by Oliver Sacks, whom I cannot recommend highly enough. He’s a neurologist who writes wonderful case studies of neurological disorders. His best-known books are probably “The Man Who Mistook His Wife for a Hat” and “An Anthropologist on Mars,” but he’s got a new one out that I intend to purchase the next time I’m at a bookstore. It’s called, IIRC, “The Mind’s Eye” and deals primarily with disorders of perception. Fascinating stuff, really. I liked this story a lot. It felt like a sequel to “Fallen,” sort of a “what happens next” bit. I thought the solution was clever, although I do feel there was a bit of a logical leap at play. It helped that we established the creature reacted to its host’s emotions beforehand, but concluding that the creature chose him based on the fear of the other animals seemed a little hard to take hold of. Glad you liked the story, Nathaniel. Thanks for listening! Cheers Nathaniel, yup, it’s all about crows for me this week. I have that phrase stuck in my head now : “Where goes the Reaper, follows the Corby”. My wife always says it’s much more gratifying eating a meal that someone else has cooked rather than you own. Likewise it was great to hear a production and that I didn’t have to put together. Thanks for your kind comments about my voice. Shucks. Rish should drink more often, the after-story section was hilarious. Mike’s story is great, and I enjoyed listening to his authour’s note, although, even I think his accent is strange. Terrific job, Barry! Thanks for bringing my words to life. Seems like there was an underlying anti-hunting sentiment in this story. Edward so blithely dismisses the rights of animals to live, and then gets hunted himself. Pretty cool stuff. Yup, I am anti-hunting. People like Edward Dempster-Smythe deserve a good kick up the arse. Glad you enjoyed the story, Carl. Are you a vegetarian then, Mr Stone? I went veggie in my teens for, ooh, all of six months, then reverted to being an omnivore. I’m of the opinion that it’s ok to eat animals and use their hides for practical purposes provided they are treated well in life and killed in an efficient and humane way. It’s killing for its own sake that I have issues with. I think setting hounds on a stag or fox, or digging up a badger’s sett to kill them for ‘sport’ is indefensible. Yes, “for sport” killing, I feel, is another issue than for food, though it is worth remembering that dogs are also used to hunt deer, pigs and rabbits, for instance, for meat; those practices are actually more in fitting with natural selection as well because they select against the weakest, as opposed to “still” hunting from a stand during which time hunters typically look to kill the biggest of the bunch. I just don’t like it when people who do eat meat claim hatred of hunters who do hunt for food. I can understand that. My dad was one of those hunters who brought back his kill, cleaned it, and served it at the table. But I had a couple of friends who would kill things just for the fun of it, leaving whatever they shot to rot on the ground (I think I talked about the time we went rabbit hunting on the show once). Clearly, the main character in this story was the latter kind.